The opening of the new Jungle Monkeyz Adventure in Pinner is getting closer and further details of the experience have been released. The adventure, which follows Alex the monkey on a journey to find the stolen Jungle Gems of virtue, will transport explorers to the ancient Mayan Jungle. 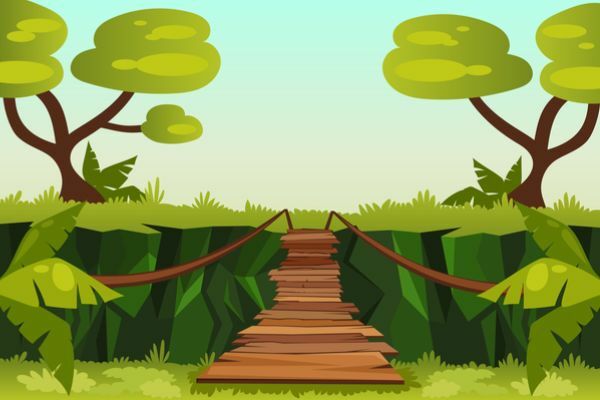 From crawling into hidden caves to stepping across a rickety bridge over crocodile-infested waters, the new Jungle Monkeyz Adventure is an experience that explores the imagination while teaching the importance of conservation and doing good to others. Throughout the 90-minute experience to retrieve each virtue, children will cross the Ramble Rocks, explore Temple Ruins, discover the depths of the Deep Jungle and, of course, pose for a selfie with the Silverback in the Gorilla Glade. It’s tough work, so Jungle Monkeyz Adventure’s team of chefs will swing into action in the Chuen Café… which also includes the talking tree of knowledge. Check back soon to see when Jungle Monkeyz Adventure opens.